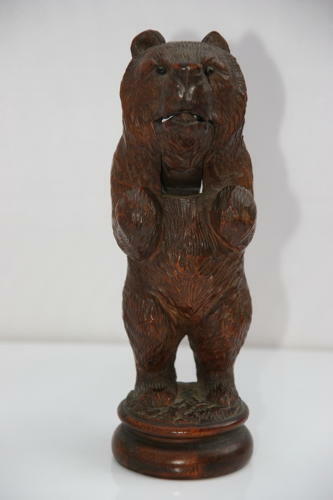 Nice Black forest Bear Nutcracker, lever mechanism, 19th century.glass eyes. chip to one ear. unusual front paw positions means he must of been holding something now missing.